Do you know what processed honey is? If you know, then you are not buying it. We can see it on supermarket shelves, with beautiful names like “pure honey”, which doesn’t mean real, but purified or “clear honey”. It is indeed clear, but cleared not only of bad impurities but also of lots of good healthy nutrients and properties. How is this happening? Why would we want to change honey? Raw honey is exactly what bees put in the cells of the combs. It is what they eat. The beekeeper would simply cut down the caps of the cells and let the honey pour down by means of gravitational force. Or put the frames into a honey extractor, which spins them so that most of the honey is removed by centrifugal force. Once extracted, the resulting honey will contain bits of wax and must be passed through a strainer so that a clean liquid honey results. The only processing that should be done is by the settling and straining, in order to remove big impurities like dead bees or wax. After that it should be directly sealed into jars. Here is how honey should be extracted. It is not pure!!! Raw honey looks cloudy and contains bee pollen, honeycomb bits, propolis, and even broken bee wings. It is true: it’s unappealing. It is an alkaline-forming food, just like lemon. It can even be used to counteract acid indigestion. Vegetarians love honey because one of its enzymes, amylase, helps predigest starchy foods like breads. Processed honey is acid forming. For best natural health, our daily food supply should be higher in alkaline forming foods, rather than acid forming foods. It crystallizes. This is a natural process, and according to each type of honey content of glucose, raw honey will crystalize in couple of months. With some exceptions, of course, one of these being honeydew honey and other honeys with a high ratio of fructose/glucose. Read more about the differences between organic raw honey and raw honey. Because raw honey is unappealing and crystallizes quickly, and people may not buy it because it contains “impurities”, the big producers have found methods of processing it to make it look like PURE GOLDEN LIQUID, perfectly clear and easy to spread. It is also known that bees carry an electrostatic charge, thus attracting other particles in addition to pollen, which will be incorporated into their honey. The producers say their intention is to eliminate spores and other unwanted or even toxin particles and prevent crystallization. And invented “PURE” honey, also known as “clear”, “regular”, “commercial”, “processed”, “pasteurized” honey. Because raw honey is rather viscous and sticky, filtering it from impurities is difficult. 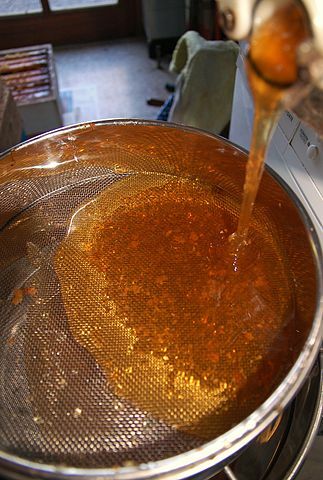 Honey will be heated to 150–170 °F (66–77 °C), make it more liquid and easy to pass through the filter. The heating process will effectively reduce moisture reduction, reduce and delay crystallization, and destroy yeast cells completely, but deteriorating the honey: its delicate aromas, yeast and enzymes which are responsible for activating vitamins and minerals in the body are partially or completely destroyed. The following filtering process will remove, pollen grains, air bubbles, or other materials normally found in suspension. The resulted filtered honey will be very clear and will not crystallize. The heating increases the level of hydroxymethylfurfural (HMF) considerably. The maximum permissible statutory level of HMF is 40mg/kg. Furthermore, heating reduces enzyme (e.g. diastase) activity and affects sensory qualities and reduces the freshness of the honey. Heat processing darkens the natural honey color. Heating above 90°C results in caramelization of the sugar. Heat-treatment falls short in the destruction of heat-resistant microorganisms. Heating can be done by means of an infrared heater. An infrared heater or heat lamp is a body with a higher temperature which transfers energy to a body with a lower temperature through electromagnetic radiation. It is used in food-preparation areas of restaurants to keep food warm before serving. Nevertheless hot teas with honey are recommended in case of colds, flue with or without bacterial nasopharyngeal infection. The quality of honey, especially its antibacterial power will remain almost unchanged, if put in tea at a temperature of 50-60° C and immediately drunk. The filtration is done by means of membrane separation systems. The liquid comes into contact with a membrane that permits some components (for example, water in the fluid) to pass through the membrane (the permeate), while other components cannot pass through it. The physical and chemical nature of the membrane (for example, pore size and pore distribution) affects the separation of the liquid and its components. The smaller the pore size, the smaller the size of the particles that can pass through the membrane. • Macrofiltration or particle filtration. Pore size: 10 to 1000 micrometers (µm). It is used to remove bubbles, insect parts, dust, debris, crystals. It uses bag filters, cheesecloth, metallic screens, nylon mesh. • Microfiltration. Pore size: approximately 0.1 to 10 micrometers (µm). It removes yeast cells, red blood cells, coal dust, and some bacteria. A very used method in fruit juicing industry. • Ultrafiltration. Pore size: to 0.001 to 0.1 micrometers (µm). It retains particles larger than 15-200 Ǻ. It is used in milk industry (to separate milk proteins by passing milk at high pressure through a very fine membrane), gelatin and protein concentration in pharmaceutical industry, sugar clarification, cheese whey concentration, oily waste concentration in heavy industrial applications and electronic deposition for paint applications. It can remove proteins or sugars, concentrate skim milk for ice cream. 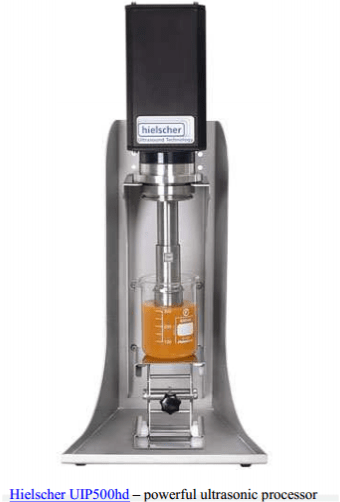 When applied to honey, ultrafiltration involves adding water to honey and filtering it under high pressure at the molecular level, then removing the water. It is a much more involved and expensive process which results in a colorless sweetener product that is derived from honey, but in the U.S it is not considered “honey”. • Nanofiltration. Pore size: Particles in the molecular range from 0.0001 µm to 0.001 µm. This process allows some salts through the membrane, allowing monovalent ions to pass while rejecting high percentages of divalent cations and multivalent ions. It is used for sugar concentration, dye desalting, water softening, color removal in water, removing bacteria, some proteins by dairy industry, and meat processors for recovering value added by-products and making water suitable for discharge. • Reverse osmosis or hyperfiltration Pore size: Particles in the ionic range from about 0.001 micrometers (µm) and below. It is used to reduce inorganic salts in water that has demanding specs such as boiler feed water, car wash rinse water, potable water, glass rinsing, pure water for dialyses, beverages, pharmaceutical water and maple syrup concentration. It can also be used to remove bacteria, salts sugars, proteins, particles, dyes, water recycling, concentrating milk solids and removing water from whey. • Diatomaceous Earth (DE) – although not technically a membrane system, natural diatomaceous earth (DE) functions similarly to membrane filters. – many other trace minerals such as titanium, boron, manganese, copper and zirconium. DE is used in honey processing to removes wax, pollen, bee parts, wood chips, and some bacteria. To be able to use DE, honey has to be heated slightly to allow it to pass through the micropores. EU regulated this method, depending upon the level of filtration. According to the EU, if DE is used to thoroughly remove the pollen from honey, it may be difficult to identify the botanical and geographical origin. This level of filtration also makes it difficult to identify other microscopic elements normally found in honey. Some researchers think DE also absorbs vitamins from honey. This is a non-thermal processing alternative for honey. When honey is exposed to ultrasonication, most of the yeast cells are destroyed. Those cells that survive sonication generally lose their ability to grow, which reduces the rate of honey fermentation substantially. Ultrasonication also eliminates existing crystals and inhibits further crystallization in honey. Ultrasonically aided liquefaction can work at substantially lower temperatures of approximately 95 °F (35 °C) and can reduce liquefaction time to less than 30 seconds. Due to the minimal heat exposure, ultrasonic liquefaction results in a greater retention of aroma and flavor. Sonicated samples show only a low HMF increase and alow decrease in diastase activity. Creamed honey it is also called whipped honey, spun honey, churned honey, honey fondant, set honey (in UK), or candied honey. Its main purpose is to control crystallization. It contains a large number of small crystals, which prevent the formation of larger crystals that can occur in raw honey. This processing produces a honey with a smooth, spreadable consistency. It was showed that honey processed by microwave radiation method, registered a decrease of the antioxidant properties of honeydew honey used, but not as high as the decrease resulted after using conventional heating processing. (as showed in the study “Effect of heat treatment and microwave radiation on the antioxidant properties of honeydew honey“, 2012, conducted by Kowalski Stanisław* Marcin Lukasiewicz, from the Department of Carbohydrates Technology, Faculty of Food Technology, University of Agriculture in Krakow, Poland). 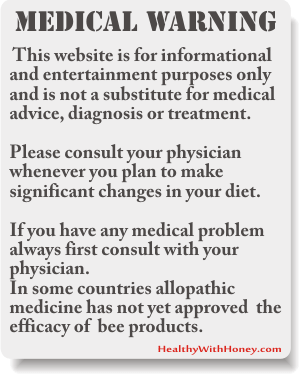 Other studies on the effects of microwave radiation on honey, here. • Deionized Honey: A honey product where honey has been processed to remove selected ions. • Deproteinized Honey: A honey product from which protein has been removed from the honey, by appropriate processing. • Dried Honey: Honey which has been dehydrated and in which edible drying aids and processing adjuncts may be included to facilitate processing and improve product stability. Dried honey comes in various particle sizes. • Honey Extract: Any product formed by removing selected components from honey. The nature of the component (flavor, color, etc.) determines the type of extract. 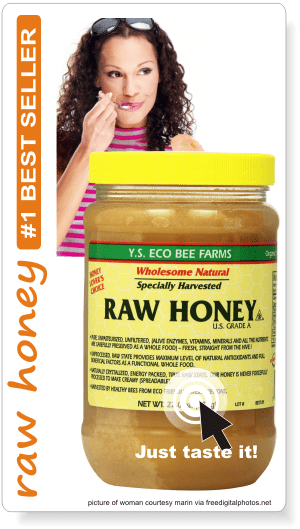 • Honey Spread: A variety of edible, extremely viscous honey products made from honey or creamed honey. Honey spread is sometimes blended with other ingredients (such as: fruits, nuts, flavors, spices or margarine but excluding refined sweeteners). • Natural Honey Flavor: A substance obtained (often by extraction) only from honey that contains the flavor constituents of honey. • Ultrafiltered Sweetener Derived from Honey: Honey from which all materials not passing a specified submicron membrane pore size have been removed. Materials removed include most proteins, enzymes and polypeptides. 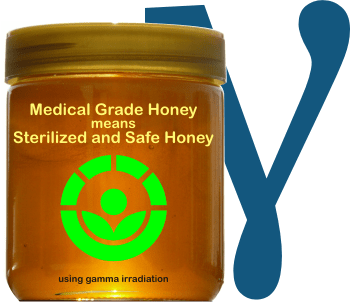 The most effective and safe method to process honey is Gamma irradiation. The method is commonly used in the food industry and although it sounds dangerous it is the only sterilizing process that keeps all the good properties of honey unaltered. Read more here: Gamma irradiated honey is safer than raw honey and with the same antibacterial power! 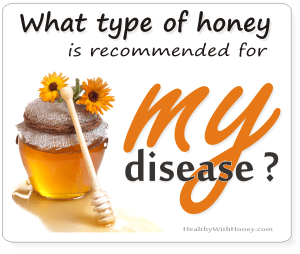 • There are studies showing to demonstrated that there is no difference between processed honey and raw honey: What is the difference between pure honey and raw honey? 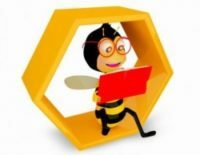 • Find out how honey bees make honey: How is honey made? 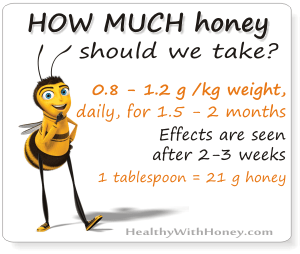 • When can we say a honey is organic: What is organic honey? 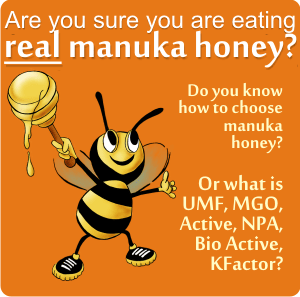 • What is “honey made in China” or fake honey: What is fake honey? • What kind of honey does gingerbread have: What is artificial honey or fake honey? What we have in our food! Are there vitamins in honey? Er, NO?! What is the difference between pure honey and raw honey? Hi, in your article you mention that “vegans love honey,” but by definition, vegans abstain from using ALL animal products. Bees are (albeit very small) animals. Therefore honey is not vegan. There are some people who eat mostly vegan, except that they consume honey. Many of these people refer to themselves as “beegans” or “vegan except honey.” Vegetarians, by common definition, will avoid eating animal flesh, but they will consume derivatives (such as cow’s milk, eggs and honey). So perhaps “vegetarians” is the appropriate term for your article. Instead of honey, ethical vegans will consume plant-derived alternatives, such as agave (which comes from a type of cactus plant). Please update your article so as not to confuse readers about the meaning of the word vegan. Thank you for your input. I know there is still a debate among vegans whether or not honey is a bee product, though everything coming from the hive is considered a bee product. Nevertheless some people say honey is not made in the inside of the bee’s body, like milk or eggs are. It is only a substance transported in their special stomach and then regurgitated as it is, with only the additions of some enzymes. Other people say these enzymes make all the difference and don’t want them, especially because they come from an animal. But you are right, if I talk about vegans, then I should comply with their rules and be very strict. I have modified the term in the article. Beegans! – that’s such a funny name. 🙂 I haven’t heard it before. I am in Nepal, btw. It seems those honey from the cliffs are being labeled “rock” honey now out here. Secondly, if it is processed (no matter how) then it is not raw, that’s for sure. If it says thermostatic technology it will mean heating and keeping it at a certain temperature for a certain amount of time, till it reaches the desired consistency to be filtered, or till it’s pasteurized enough to kill spores or microbes (?!). We don’t know what that temperature was, what we know is that raw honey should not exceed 40 degrees Celsius. Even if your honey was processed, it doesn’t mean it is toxic now. Really, open the jar and eat the honey.